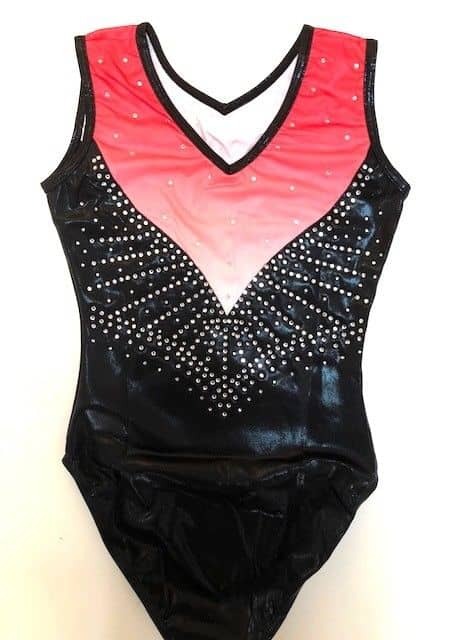 Top quality gymnastics leotard in durable mystique fabric. Black Mystique with Red to White ombre mesh top section (lined). Eye-catching Diamante detail to front and back. 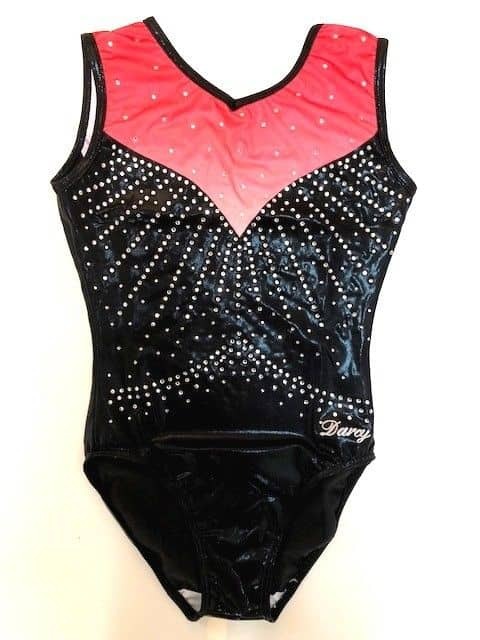 Top quality leotard in durable mystique fabric. Red to white ombre mesh top section (lined).